One particular area of concern is mine dumps which are made up of crushed, sand-like by-product refuse material, known as tailings, produced during the mining process. 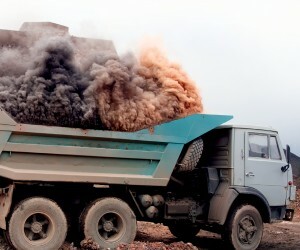 Mine dumps are made up of a complex mixture of metals and dust particles. This means that dust exposure can be high for communities living nearby, particularly during windy conditions and when it’s dry and vegetation cover is low. This is a major cause for concern particularly given that communities living near mine dumps are growing, and because respiratory diseases like asthma are becoming more prevalent. These two factors mean that South Africa’s health service faces increased strain. This should prompt the government to legislate dust control measures to protect communities. Asthma is a disease of the bronchial tubes in the lungs “airways”. People with asthma typical experience “wheezing”: a high-pitched whistling sound heard during breathing, especially when breathing out. Globally, asthma and its symptoms tend to be more common among children and older people. In most high-prevalence countries, such as Australia, Europe and South Africa factors responsible for increasing asthma rates are not fully understood, although environmental and lifestyle changes have been found to play the key role. Our studies were conducted in two sets of communities. One set lived between one and two kilometres from mines meaning that they were exposed to the mine dust. The other lived five or kilometres from the mine dumps, meaning they were not exposed. There were five pre-selected five mine dumps in Gauteng and North West provinces of South Africa. The mine dumps were included in the study based on their size and the high population density around them. The social and demographic profiles of the exposed and unexposed communities was similar. The studies were divided into three phases that included the cross-sectional studies, panel studies, personal and indoor air monitoring. The studies were conducted among 13 to 14-year-old children and people 55 years and older. Our research showed that exposure to mine dust or living close to a mine is a risk factor for asthma. This may be attributed to the fact that inhaled dust particles can potentially harm the respiratory system. We found that children living in communities close to mine dumps were more inclined to show symptoms of asthma like having a wheezing chest along with a runny nose, congested nasal passages and post nasal drip (rhinoconjunctivitis). There was a higher prevalence of asthma symptoms such as current wheeze and rhinoconjunctivitis in children living near to mine dumps (21.1% and 32.9%) compared with other studies conducted in cities like Cape Town (20.3% and 20.7%) and Polokwane (18.0% and 16.9%). And among older people, we found the rate of asthma to be 17.3%. This was significantly higher than similar studies done in the US where the rate was found to be between 4% and 10% and Australia (7.5% to 12.5%). There aren’t any comparable studies for other developing countries. New long term effective dust control measures should be researched and implemented. This is because asthma is becoming a burden across the world and because communities living near the base of mine dumps is growing. This means that there’s the real potential that asthma will be added to the burden of non-communicable diseases in South Africa. 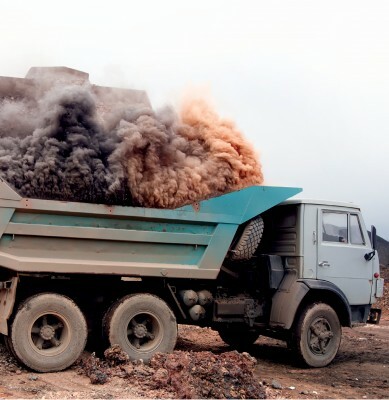 The mining industry has in the past, implemented various strategies to reduce pollution from mine dumps. This has included spraying mine dumps with water and rehabilitating areas by planting grass, which effectively catches the dust. But these strategies have often been ineffective because the grass withers during the dry season and sprayed water is rapidly absorbed or evaporates.